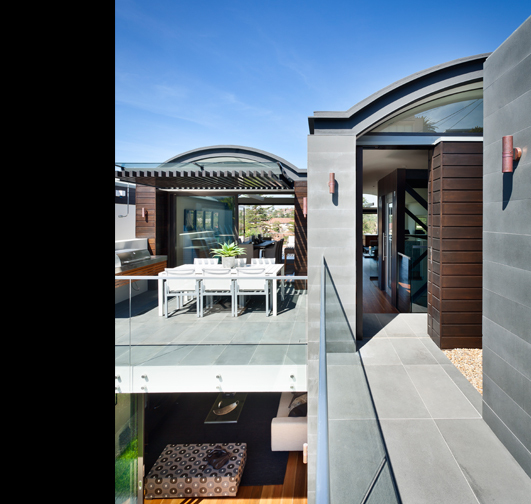 This project involved two new houses built on a south facing site with a cliff descending to Manly lagoon. The site had been neglected by the market due to a newly-built house that had blocked views to Manly Beach. In order to overcome this we recognised topographical features of the site that allowed us to build higher than the neighbouring house and gain beach and ocean views. 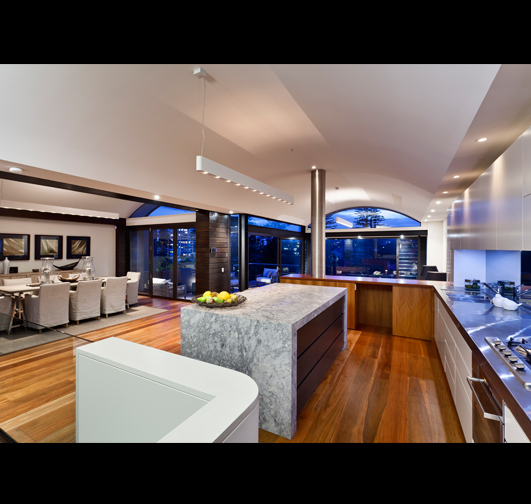 Our former client with Japanese heritage was sensitive to their traditional customs yet also wanted a modern house. We incorporated walls and floors with bluestone, timber and imported tatami mat flooring, a steel framed double vaulted roof, and a combed bluestone onsen (Japanese spa) and pool to fulfil their brief.